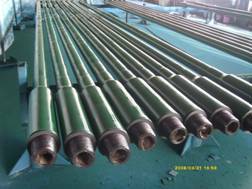 Our drill pipe include heavy drill pipe, drill collar, screw drill pipe. 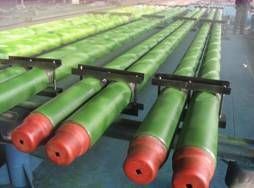 The DP range from 2 3/ 8"to 5 1/ 2", E-75, X-95, G-105, S-135steel grade according to API standard. Type of end finish: EU-external upset, IEU-internal & external upset. 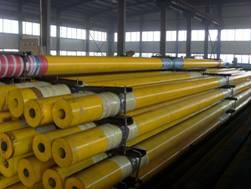 In case of high grade drill pipe especially for S135 grade, the tool joint tensional yield strength is always lower than the pipe body tensional yield strength, and this unmatched tensional yield strength, sometimes, involves the tool joint failure during drilling operation. So we developed double shoulder tool joint for harsh drilling operation.